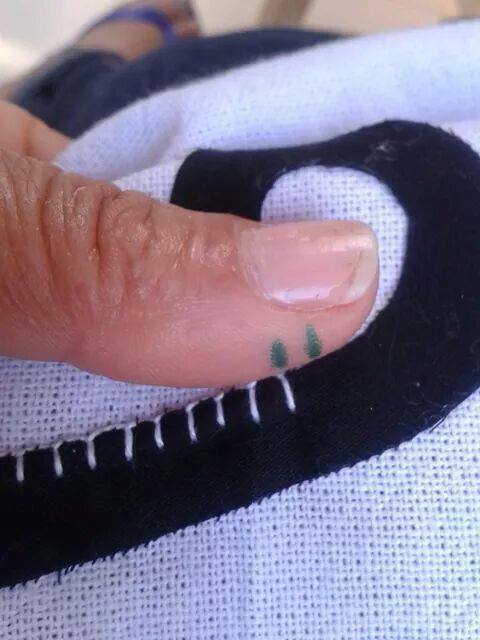 Clever hack to keep your stitches even. 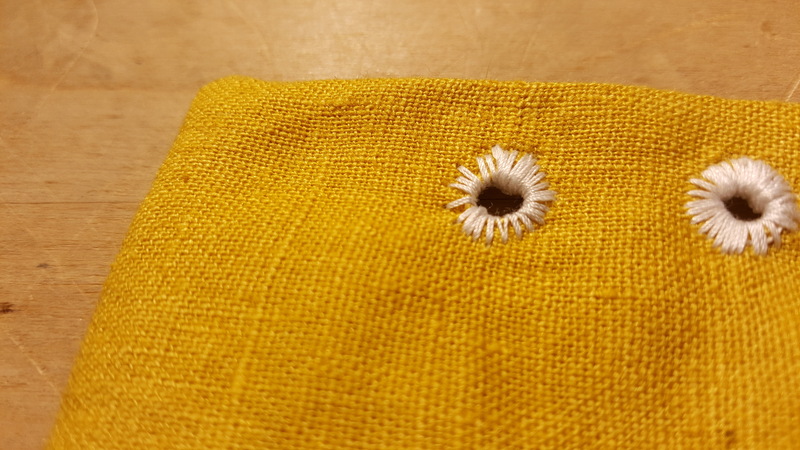 By making 2 marks on the side of your thumb, and moving your thumb along as you work, you have a built in gauge for exact stitch length, without marking up your fabric. PLEASE NOTE: THIS IS NOT MY THUMB NOR MY IDEA. I’ve tried to find the original source to no avail. I truly would like to give credit where credit is due, but falling short of that I’ll happily share a truly clever idea.